A 26,300 sq. ft. two-story medical office building designed for six doctors. The project includes outpatient surgery facilities, exam and clinical services, laboratories, and offices. 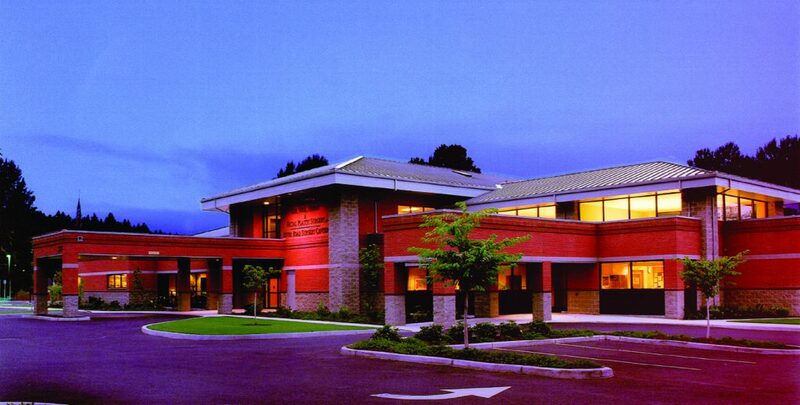 The project was designed to provide maximum flexibility and versatility to accommodate each doctor’s specialty. The exterior is brick and block masonry with deep roof overhangs and sloping metal roofs. The design features daylighting throughout the patient areas. Designed in collaboration with Marasco & Associates, Inc.